Koppert Biological Systems offers sustainable IPM programs to growers that allow them to maintain healthy crops with minimal reliance on chemical pesticides. 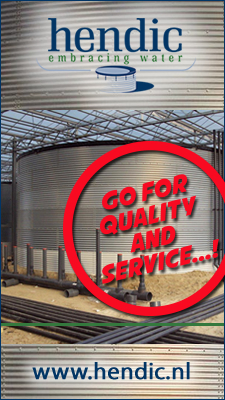 The company believes that management of Downy mildew and Botrytis need not be a puzzle every rainy season. An integrated disease management strategy should combine good cultural practices, strengthening of the crop’s ability to fight diseases and timely prophylactic applications of products. This technique coupled with the use of effective products that target many aspects of disease development, is the most reliable and sustainable approach. Advancement in knowledge of plant chemistry and plant interaction with the environment has led to formulation of innovative products that are effective and safe to both the crop and the environment. One such product is NoPath from Koppert, which is based on plant essential oils. It is recommended for an integrated crop management strategy to reduce incidences of Downy mildew and Botrytis in roses. NoPath has a mode of action that benefits the crop, contributing to the holistic approach of disease management. Besides strengthening the crop’s natural ability to fight disease, the product has quick and excellent curative effect on both diseases. Growers who have used NoPath even in incidences of disease outbreak, have observed quick recovery of affected areas of the crop. In addition to its outstanding effectiveness, NoPath has no implication of chemical residues on the crop. It is also safe to the roots and contributes to the general growth of the crop by increasing tolerance to abiotic stress. NoPath offers unique flexibility in the choice of the application method. The product can be drenched through the irrigation system (to be taken up by the plant) or it can be sprayed using the standard spray equipment. 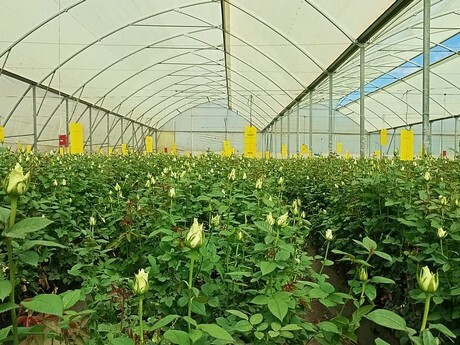 Currently, rose growers in Kenya use NoPath on virtually all varieties as part of their disease management strategy, as well as for the additional crop growth benefits. Whereas there are many options of chemical fungicides to choose from, effective and sustainable disease management requires an integrated approach.